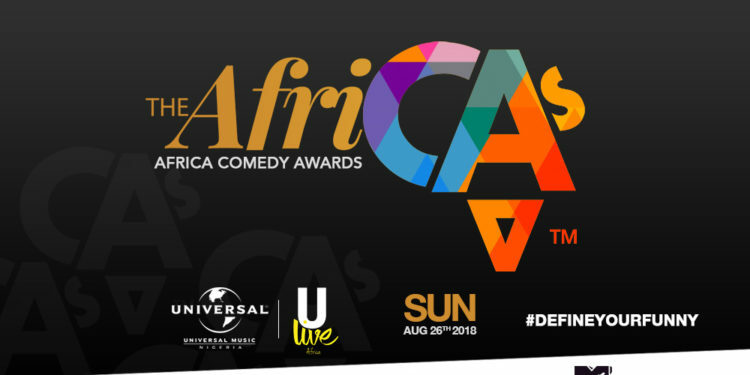 Novus International Business in partnership with ULIVE Africa; a subsidiary of Universal Music Group are pleased to announce the maiden edition of The Africa Comedy Awards (The AfriCAs). The AfriCAs will be the first of its kind and what is set to become the biggest award ceremony, commemorating the achievements of comedians all over Africa. It is billed to be the most prestigious comedy event on the continent. The AfriCAs has opened a call for entries and Comedians from around the continent are invited to submit their nominations between May 23rd – July 6th, 2018. Nominees will be announced July 13th, 2018 and Winners will be declared live at The Africa Comedy Awards on the 26th of August at Eko Convention Centre, V.I, Lagos, Nigeria. The First edition of the Africa Comedy Awards is set to hold in the lively, bustling city of Lagos. Lagos is the home to several comedy clubs, arts and craft markets, nightclubs and so much more. It is a melting pot for various vibrant cultures making it the perfect place to launch this exciting award. The AfriCAs was created to celebrate and honor the accomplishments and contributions of Africa’s talented and successful performers and content creators of comedy across the continent and in the diaspora, while highlighting creativity and excellence. It aims to ignite comedy’s potential as an instrument for socio-economic growth and community development. 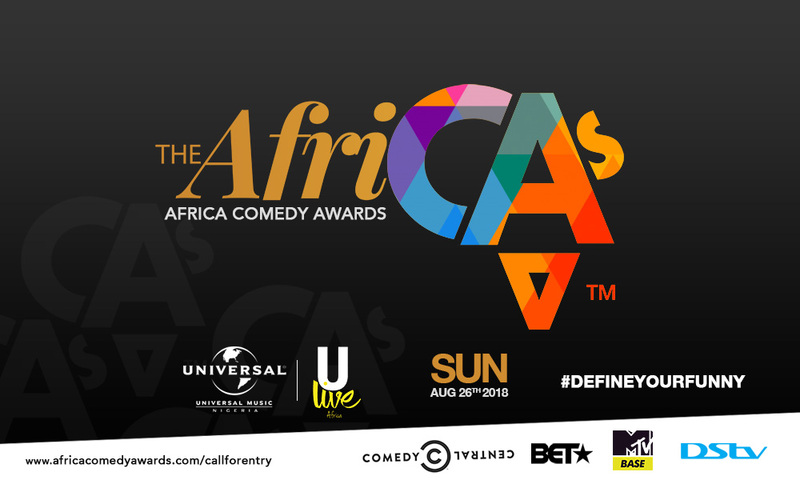 The theme for AfriCAs 2018 is #DefineYourFunny, which spotlights the different ways comedy appeals to people, showcases the diversity of African comedy and honors the incredible talent and passion it takes to make people laugh and a way of uniting Africa through comedy. The Awards would be divided into three broad categories: Honorary Award, Performance and Content creation. The call for entry accepts eligible entry (Please see terms & conditions) for all categories. Nominees are selected by a board of jurors from different African regions with highly relevant comedic credentials and exposure to the African media industry. These awards will celebrate the achievement of exceptional comedians who have broken barriers in their different African hemisphere. This category also includes an award for International Comedian of the Year. Winners from this category are chosen by board of Jurors. These awards will celebrate the performance of comedians in the entertainment sector of film and television. Comedians whose performance in these forms of media have been riveting. Winners from this category will be chosen by the audience via online voting. These awards will celebrate the creativity and content of comedians through social media, radio and on stage. Comedians whose creative content transcends traditional comedy to reach the masses. Winners from this category will be chosen by the audience via online voting. Connect with The AfriCAs on the following social media platforms. ULive Africa is a promoter, producer and investor in live entertainment. A division of Universal Music Group Nigeria (UMGNG), ULive Africa independently works with any artist or entity. Our portfolio ranges from festivals to musical theatre, from live film premieres to large outdoor concerts. We collaborate with some of the biggest names in music and entertainment to realize creative ambitions. 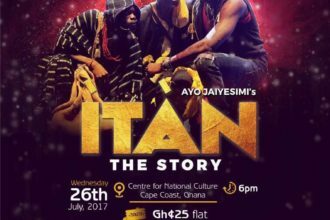 THESPIAN Family Theatre takes ITAN ‘The story’ to Ghana!